I have written this Solo Build It! review to encourage my website visitors to use it to create an online business for themselves. It worked for me and gave me the freedom to a life on my terms instead of one of dictated by the limitations of Social Security! Solo Build It! is a system designed to help individual entrepreneurs, or as we like to call ourselves, solopreneurs, succeed in the world of online businesses. It's much more than just a website builder; it's a complete web business building system with all the tools and resources you will ever need. Known in the past as SBI!—Site Build It!—the name was recently changed to emphasize how the system helps a one person business succeed in the challenging world of online businesses. I discovered Solo Build It! at a time when I really needed serious help. My salary was just barely making ends meet and medical bills were exhausting my retirement savings. I was confident that my willingness to work hard to develop an online business would create an additional income stream. I researched and tried multiple times, but failed. Undeterred, I kept trying, certain that there had to be something that would work. I even invested thousands of dollars in what seemed to be a comprehensive training program, but after more than a year of hard work, that failed, too. I began to wonder if the naysayers were right and it really was far-fetched to think I could do better than a paycheck to paycheck existence with no future. Take a few minutes to watch this TED talk about the surprising reasons some people succeed and others don't. Hint: it's not IQ. Solo Build It! came to my rescue in 2008. I learned it was an all in one web business system with online tools and a first rate educational system that would teach me what I needed to know. I learned about real people who had created their own successful online businesses and I visited their websites to see just how it was. It would also continually keep me up to date with industry trends and changes—invaluable, especially with the ever-changing search engine rules. I was skeptical, but with the no risk guarantee I decided all I would lose was my time. And if it truly was different than all the other ventures I had tried then it would be a worthwhile investment. For months I followed the steps outlined in The Action Guide as it showed me how to identify my interests and passions and to determine if there was a chance to make good income on the internet. I especially liked that it emphasized following my passions, instead of trying to figure out the mystery of whatever was popular on the web at the moment like the others had recommended. The authenticity of the teaching resonated with me—if I was genuinely interested and knowledgeable about a topic then chances were other people were, too, and I’d be able to provide meaningful information for those people. It made sense and I was excited about actually contributing to high quality information on the web. Solo Build It! cost more than the free or almost-free companies—$299/year—but it offered an Action Guide that told me everything I needed to know about building a profitable online business all by myself. It also had a full array of tools and options for creating a professional web presence. It was like a college course—actually, there are several colleges that teach it. The Action Guide is divided into 10 very thorough lesson plans called days, but most days take a bit longer than 24 hours to master. 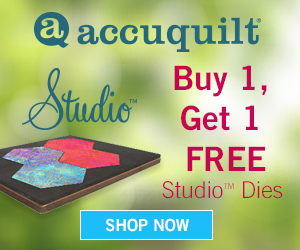 For most of my life I had dreamed of making quilts for my children and for charity. 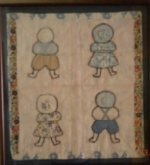 My siblings and I had quilts our great-grandmother had made for us. For years, those quilts warmed our bodies and souls as the military moved us to locations all over the world far away from family and friends. I searched online for information on the making of quilts and the history of the 200+ year old tradition in the US, but other than lots of patterns and How-Tos, there was little to be found. Surely I couldn’t be the only quilter wondering about that creative heritage. What if that interest could be my online business—something I had been doing for free just for the love of it? Nah, that would be too good to be true. But I didn’t discard the idea and decided to trust the Action Guide and follow the steps. The tools in SBI! showed me there were lots of people interested in the same subjects I was. Site Build It! provided keyword search tools that showed me exactly what people were searching for on Google. Site Built It! also analyzed the topics to ensure they were potentially profitable. 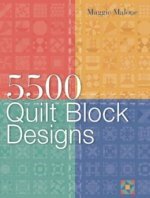 I discovered that there were a great many people looking for some of the same information about quilting that I had, but there was little of it available online. That meant less competition—definitely worth further investigation! SBI! guided me every step of the way and since I was interested in my subjects and I knew a lot about what people were searching for, I had no trouble researching and writing content that would answer their questions. SBI! 's systems automatically analyzed my content and web pages, verified that I created high-quality content and kept me on the right path. Now, whenever I need help or advice, SBI! is there with the most tremendous support system I've ever seen. Comprehensive Help articles, enthusiastic, friendly help from admin and other SBIers on the forums, and even specialized professional consultants for hire. In fact, I still consult the Action Guide for information, Find It! for information and articles on new developments, and Brainstormer! to evaluate search patterns and keywords, even though my web business, Quilting-in-America.com has been up and running since early 2009. I recently purchased several hours of consulting to have my site reviewed so I could focus my efforts on things that would provide the most benefit to my site’s traffic and earnings. Could I have figured it out myself? With the support and enormous collection of SBI! resources—yes, I could have, but it would have taken longer. 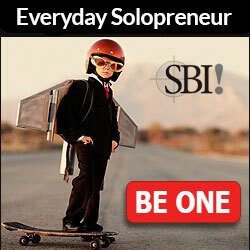 I am making my online business succeed because I’m not just an SBI! 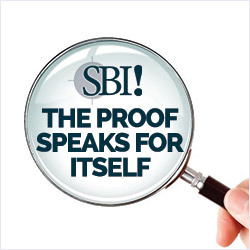 customer; I'm succeeding because I’m a member of the SBI! community. My cost of doing business is still only $299 per year for each site. I estimate that all of the tools SBI! gives me would cost nearly $4,000 per year if I bought them individually. Click here to see what you get and what it would cost. My earnings from my websites continue to increase and each improvement I make to the content generates ideas for additional ways to address the searching needs of visitors. Many hundreds if not thousands of Solo Build It! solopreneurs can make the same claim. 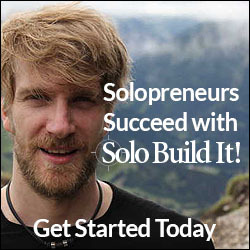 In fact, solopreneurs who use Solo Build It! are 100 times more likely to succeed than other people who try to build online businesses. Check SBI! out. Perhaps it’s the answer you've been looking for. Be careful when you search the internet for Solo Built It! reviews or the other names it has been known by: SBI! and Site Build It! An SBI! competitor has paid people to write fake reviews containing untrue and negative things to trick you into paying for their poorly performing system. SBI! recently performed a study to test the claims made by these fake reviews and the competitor who pays for them. This comprehensive study included thousands of websites from SBI! as well as thousands from the competitor. The study revealed that SBI! placed 33 times as many sites into the top brackets for traffic as the competitor. SBI!s motivation for this study was to combat the fake reviews and help guide people to make an informed decision based on accurate information. The fake reviews negatively affect legitimate businesses such as SBI! and mislead consumers in the worst way. Don’t just take my word for it. See for yourself the scope of the problem by doing a Google search for "fake reviews". 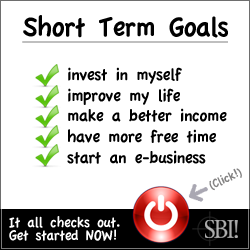 I built this successful website into a profitable business using the tools provided by SBI! I lost a lot of time trying to build my business through trial and error; I shudder to think where my business, and my life, would be if I had been led astray by the phony competitor. Discover More About Solo Built It! Grab a cup of coffee and watch this video presentation about the features and tools available to help you succeed as an SBI! solopreneur. The SiteSell home page gives you a good overview of the entire online business building process. 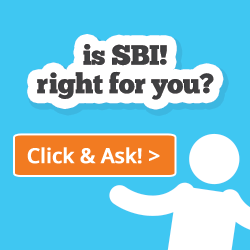 See 500 SBI! sites with traffic in the top 0.5% of all active websites in the world. 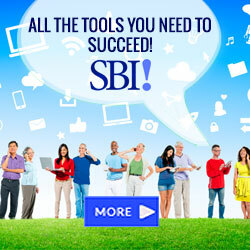 From researching pre-site ideas to earning income from your site in up to 15 different ways, every tool, every strategy, every step is included in SBI!